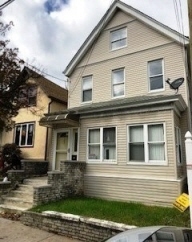 Newly Listed Large Colonial One Family Home with Extra Large Backyard. Three bedrooms two bathrooms semi finished basement and semi finished attic that can be made into an extra bedroom. Two blocks to beautiful water views? Close to all shopping and the Verrazzano Bridge.